During the year 2002/03 a group of scholars from different countries participated in themed research entitled: ‘Older adults’ life strategies in preparing for the future; the relationship between gender, age, life course characteristics and well-being’. The program was oriented towards theoretical as well as empirical research on social aspects of ageing. 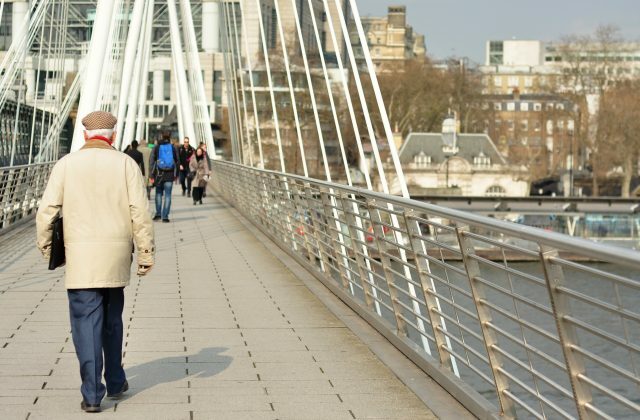 Policymakers all over Europe are discussing the consequences of population ageing. Much attention is given to addressing questions such as: Can pension schemes be paid in the future? Do we need new money to cover the rising costs of the health care system as related to ageing? Although all of us are convinced that these questions are important ones requiring urgent attention, we have to underline the fact that the social consequences of ageing need to be recognised in pro-active policymaking, both at the macro level and in the micro-interactions of older adults themselves. Social aspects of ageing, especially in terms of the extent of participation and integration or isolation and segregation, are a very important facet of life. Social and overall well-being proves to be directly related to the balance between participation and integration or isolation and segregation. The work begun during the themed group activities has advanced understanding of the complex interplay between social institutions, values and norms at the one hand, and characteristics of the personal life course, age, gender, and many other factors on the other. to explore theories explaining variation in older adults’ social integration or isolation. In order to achieve the aims, the group worked together in a) weekly seminars to discuss the theoretical framework encompassing the group’s activities, (b) conducting international comparisons of empirical data, and (c) presenting the first outcomes of the group activities to an international seminar of expert colleagues at NIAS, June 1-4, 2003. The experts contributed by commenting on the theoretical ideas and research findings from a scientific, policy or more general point of view. Comparing the outcomes of the theme group’s activities with the original work plan, the theoretical framework of the group evolved from the important concept of older adults’ life strategies into a more inclusive overarching theme of participation, and integration or isolation and segregation. Research based on this theme will be continued by members of the group in the years to come. The outcomes of the theme group activities include several publications at the personal level (see the reports of the members of the theme group). Moreover, the convenor has been invited by the editors of Research on Aging to lead preparations of a special issue of the journal, on ‘participation, integration and segregation’ across national contexts. This will give the group a promising vehicle to bring the new theoretical ideas and the outcomes of country comparative research into the forum of scholars in the social and behavioural sciences. In addition to this, the group has received an invitation to organize two sessions of the programme at the Conference 2004 of the International Sociological Association in September 2004. Outcomes of the next round of comparative research activities will be presented there. We would like to thank the scientific board, the rector, and all the NIAS staff members for making the work of the theme group 2002/03 such an exiting and scientifically fruitful experience.